March has come around so quickly! I feel like it’s almost summer already This week I’m moving out of York and back to Leicestershire, which is sad because I love living in York and in this house with James. But I have so much planned for March. James and I are going on a road trip to Scotland, I’m going to visit my friend in Southampton and I’m going on holiday with my family – I have a lot to look forward to! This month is about carrying on with the things I’ve already been doing, rather than having brand new aims. I want to keep on working on my sewing – I have so many big plans and ideas, I don’t know how I’m going to squeeze them all in! I’m so excited to share them with you on the blog I also want to make some more progress on my masters applications, since I’ve been finding it quite a slow process and I’m aware that time is passing quicker than I want it to! I aim to start job searching again – it would be great to have something lined up for April or June. March will be the month of a new blog design for Jessthetics! This is something I’ve been talking about on here for ages so I’m really excited that it’s finally going to happen. Stay tuned! It’s going to be a busy month, but a lot of fun! 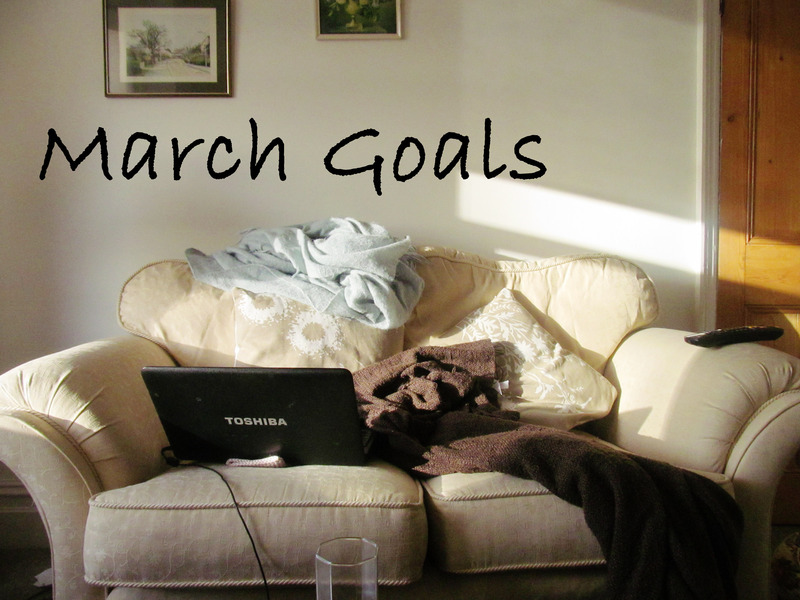 Do you have any goals for March? My giveaway finished on Friday, and the winner was Miriam (@littlemissmim81) from twitter. Congratulations Miriam! Good luck with your move, Jess–it sounds like you have lots of fun planned. I hope you’ll post about Scotland–I loved my trip there! Best of luck both with your move, and those applications! Great post and congratulations honey! Congratulations! Can’t wait to see your new design. We are DIY and sewing lovers and i love your creative.